In fact, inbound tourism has been suffering diminishing growth in the past decade. Even the 2008 Beijing Olympic Games year couldn’t save inbound tourism from declining. To stimulate the market, China puts forth the 72 hours stopover visa-free policy in major cities like Beijing, Shanghai, Guangzhou and Chengdu. It was estimated that the new policy would attract 20,000 more inbound tourists in Beijing. But it turned out there were only 14,000 foreign tourists visiting China through that policy. 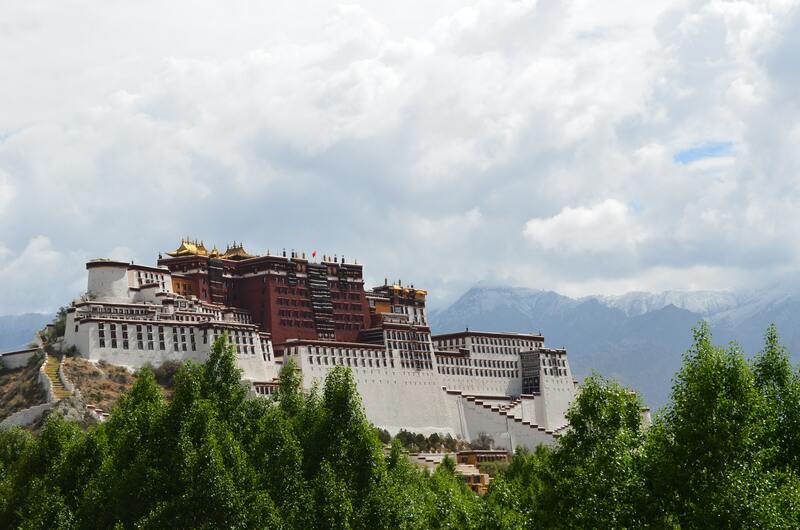 From January to November 2013, Beijing received 10% less tourists compared to the previous year. 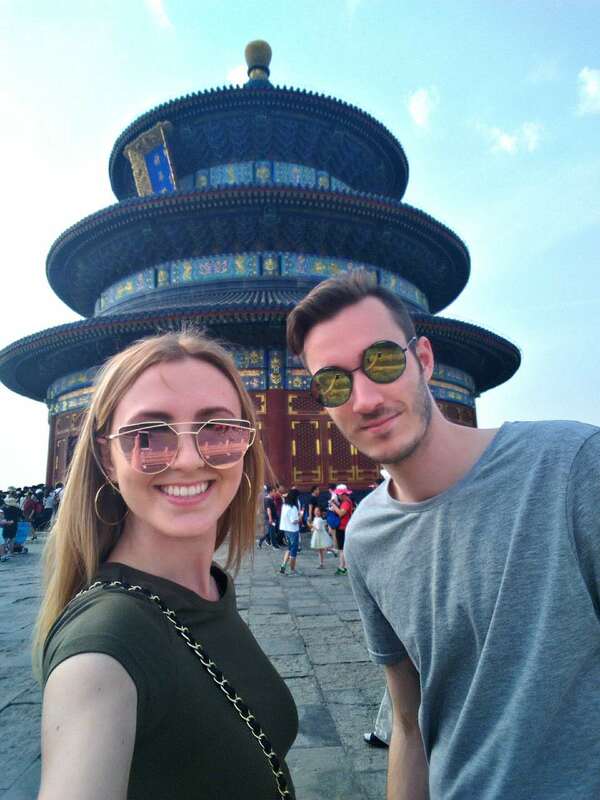 According to Beijing Tourism Bureau, the increasing frequent smog weather is one of the major reasons for the decline of inbound tourists, the ‘negative’ air quality reports by foreign press is also one to blame. Other reasons of not visiting China include the CNY appreciation and food safety issues. On the contrary, outbound tourism is enjoying an average 15% annual growth. The growth rate has even managed to maintain at 20% since 2010. Then it is not hard to imagine the growing gap of China’s tourism deficit. In 2009, Chinese tourists spent 43.7 billion USD overseas, whereas foreign tourists only spent 39.7 billion USD, which put China in the place of its first tourism deficit. And it was downhill from there. The tourism deficit grew from 4 billion USD in 2009 to 76.9 billion USD in 2013. 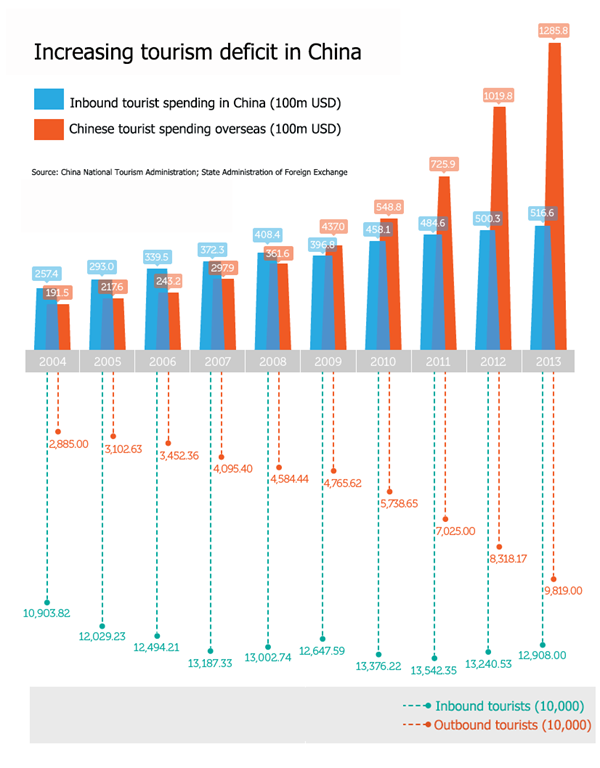 Chinese tourists spend 1368 USD per capita, 3 times that of inbound tourists. All those data goes to show that Chinese tourists are getting deeper pocket now, while the home country is not pocketing enough from foreign travelers. Too bad stupid wannabe rich Chinese people in China are making the westerners rich and richer by buying up all their China made luxury goods like LV and Channel handbags in the EU. But at the time I am glad less westerners are going to China to teach the Chinese in the China their western crap ways. In bound tourism in China is slowing simply because of foreign marketing. Every country in the world knows the Chinese are cash rich and ready to spend it abroad. Bad airs, low-quality food, high cost and lots of domestic travellers and excessive commercialization scare away foreign tourists. 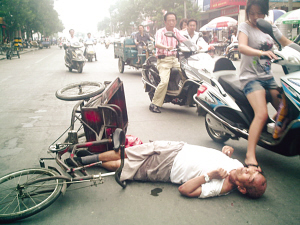 That`s also the reason why Chinese prefer to travel abroad than travel within the country. More onerous Chinese visa requirements introduced in 2012 probably didn’t help, either. It is so darn obvious how short sighted Chinese government official can be. Putting incentive in growing economy, while failing to handle corruption, pollution, and human right equality. The history has proven again and again, when the king fails to listen to the people, the kingdom will fall. Eventually, the rich and smart Chinese will move out of country to enjoy their freedom and clean airs, while the poor will be left behind to clean up the mess.